In real life, if you have a concussion you shouldn't go to bed. 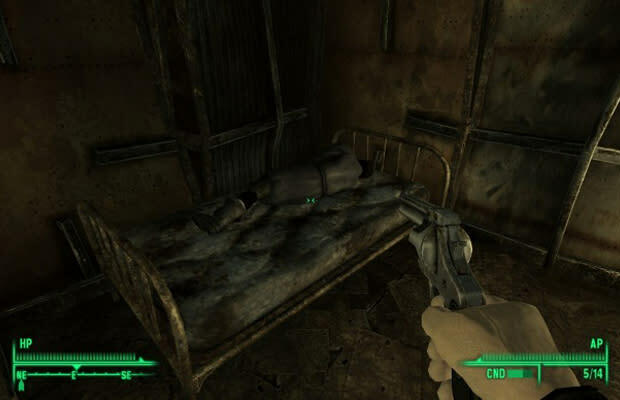 But in RPGs like the Fallout franchise, all you need to do is sleep for a few hours. When you wake up your bruises are gone, your bones are healed, and blood has returned to your body! EPMD said it best, "If you're tired, than go take a nap."